RHYS HOWELL: Blues boss Williams a victim of his own success? The news that Darren Williams had been sacked by Whitby Town at the start of this week left me both surprised and disappointed. I say surprised, it wasn’t a massive shock given that the team had lost four games in a row, and Williams had appeared to be on the verge of losing his job last month before a crucial victory over Matlock Town. However, I did think that he would have been afforded a little more time. The view that he deserved longer to try and turn the club’s fortunes around seems to be one that is shared by many Blues supporters. There has been a public outpouring of angst at the decision to relieve him of his duties on social media, with the general consensus being that Williams is still the best man for the job. There has been anger and frustration directed at the board of directors by some fans, but in the club’s defence, if you consult the statistics, the situation does appear to be pretty grave. They say that the stats don’t lie, and three wins from 21 league games aren’t numbers that you can spin in a positive light. The Seasiders are already two wins away from climbing out of the drop zone, and you can understand the thinking that a change needs to be made, and a new man afforded the chance to move the team up the table while there are still enough games to play with. That said, there is something about Williams’ removal that doesn’t sit right. The club are in a perilous position, yet the fans appear almost totally united behind the manager. If there have been any calls for his head, then I am yet to hear them. It is a rarity in football to find a team struggling like this and the supporters still on the manager’s side. This I think says it all. The fans of this club realise that Williams worked a minor miracle saving them from relegation when he took over a team that looked doomed in 2011. They also know that he has progressed this side, improved the squad and introduced a brand of football that is pleasing on the eye. All this despite Whitby being stuck between the Moors and the North Sea, the club not having a budget as big as many of their rivals, and them also seeing their best performers cherry picked by the likes of Darlington on a regular basis. I am led to the conclusion that Williams has become a victim of his own success. He’s set such high standards during his time at the Turnbull Ground and perhaps overachieved, so his previous success exacerbates this bad start to the 2015/2016 season. Looking at the situation as a neutral rather than a fan, I’m not massively surprised to see the Blues struggling in this ultra-competitive league. From a personal point of view, Williams has been a pleasure to work with on a professional basis. 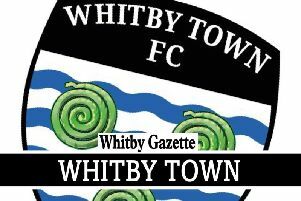 Although I have only been covering Whitby Town full-time since the beginning of the current campaign, I have also done so sporadically during the past four years, thus I’ve dealt with Darren over a long period time. He is a genuine character, who speaks honestly to the press regardless of the circumstances, and he’s made my job easier. I, along with the vast majority of the club’s supporters, will miss him greatly, and wish both him and Dave Campbell all the best for the future.